How many days this week have you woken up feeling anxious, fidgety, unsettled? How many nights this week have you laid in bed with your eyes wide open, even though you felt dog-tired? How many times this week did you feel wrapped up in joy? Two years ago, I wrote here about an all-too-common state of being I call restless soul syndrome. It remains one of the most frequently-read posts on the blog; women find their way to it every day, looking for any bit of relief from this perpetual state of unrest. Because it tells me restless soul syndrome is running rampant. Left untreated, it feeds off itself, spreading like a fungus and clogging the spiritual arteries to your heart. When a hot bath or good workout or great dessert doesn’t cure the unrest of your soul, it’s easy to beat yourself up and spiral down. And when it seems like everybody else has their act together – looking rested, happy, productive, focused – you not only start to resent the lucky jerks but use their joy as further evidence that you’re a big fat loser. Sound familiar? In Soul Currency, Ernest D. Chu writes, “Any sense of restlessness is a sign your soul is ready to grow.” The problem, I hear so many women say, is figuring out where and what and how to grow. Actually, dear ones, the problem is assuming that there’s something to DO in order to embrace all you’re meant to BE. 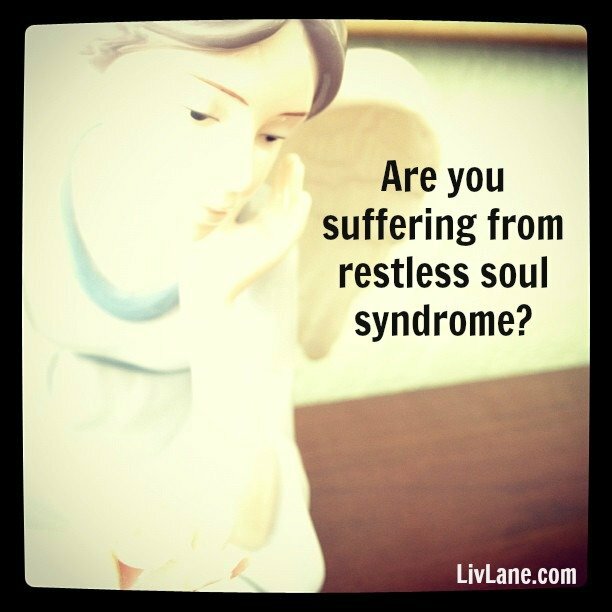 Want to cure your restless soul syndrome? Treat yourself to stillness every day, even if it feels scary at first. Put down the crossword puzzle. Turn off the computer. Close your eyes in the shower. Listen for light: instrumental music, the birds chirping outside, children giggling, wind in the trees. 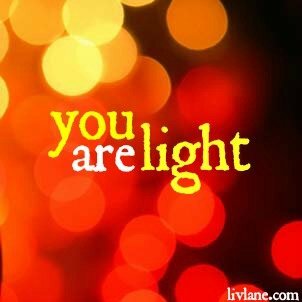 Imagine yourself standing in a beam of loving, brilliant light that has the power to heal what feels broken, calm your racing heart, ease your fears, melt away guilt. Feel the light moving from head to toe, warm and soothing, relaxing and renewing. Every moment of stillness is soul balm; providing space for your light to expand, gently awakening your sense of worth, boldly inviting guidance to come (in nudges, in whispers, in synchronicity, in signs), quietly leading you to people and places and opportunities that allow for greater joy, for deeper understanding. We move into March tomorrow; use this month to make stillness a habit (some of you will be starting this practice, others will be deepening it). Just as you would not take a vitamin one day and consider your body fully fortified, serenity will likely remain a stranger without regular doses of self-prescribed stillness. All that anxiousness, all those worries, all that emptiness is actually your soul’s way of letting you know it’s time to grow. 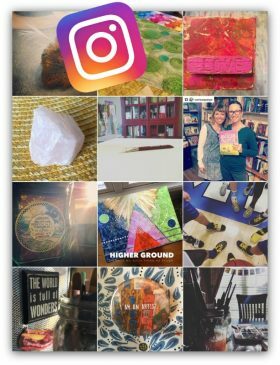 Your restless soul is calling you into the light – how great! And all you have to do is be.